The Great Train Race isn't simply a race amongst fellow competitors - it's an exciting challenge competing against the steam locomotive, Puffing Billy! The race route takes runners through fern gullies and hills, along tarmac roads and multi-purpose trails competing against Australia's favourite steam engine from Belgrave to Emerald Lake Park. 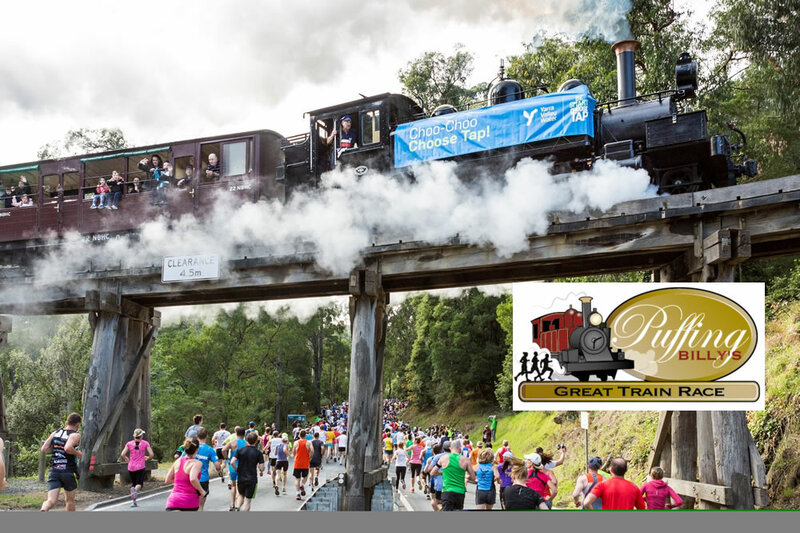 The Great Train Race is organised by Puffing Billy Railway volunteers, with all proceeds and any additional donations directed to the Puffing Billy Menzies Creek Museum redevelopment project. Discover the wonder and awe of this 38-year-old running event in Melbourne's Dandenong Ranges.